Vector field | Omnia sunt Communia! 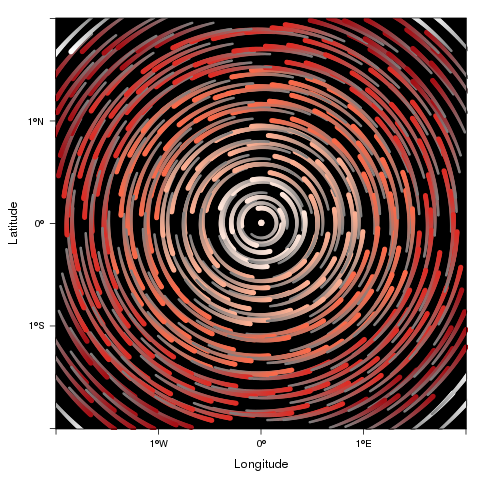 A new version of rasterVis is available at CRAN. 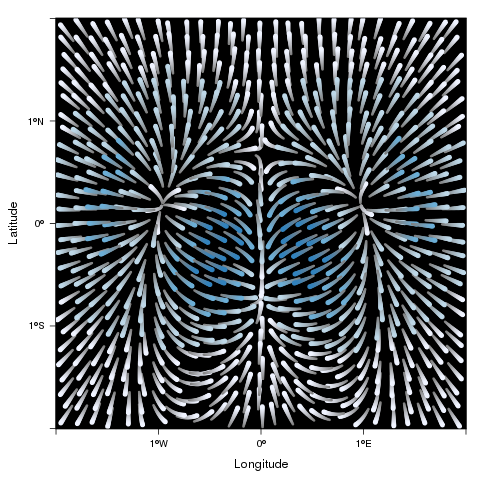 This version includes several bug fixes and a new method to display vector fields with streamlines. Streamlines, a family of curves that are tangent to the vector field, show the direction an element (droplet) will follow under the effect of the field. 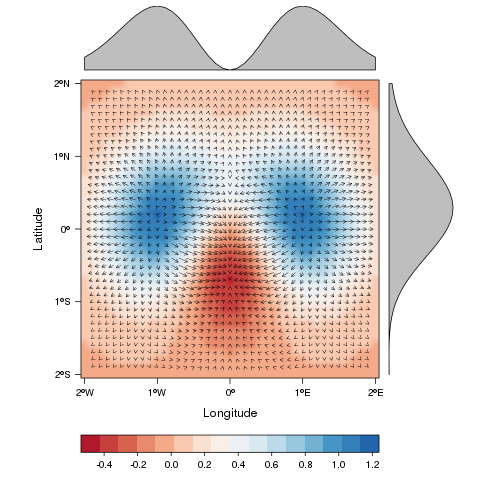 streamplot displays streamlines with a procedure inspired by the FROLIC algorithm: for each point (droplet) of a jittered regular grid, a short streamline portion (streamlet) is calculated by integrating the underlying vector field at that point. The main color of each streamlet indicates local vector magnitude (slope). Besides, streamlets are composed of points whose sizes, positions and color degradation encode the local vector direction (aspect).